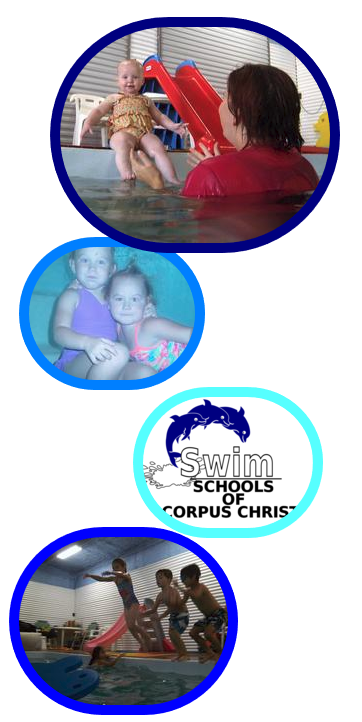 Thank you for joining Swim School of Corpus Christi. We want to make sure that you get the absolute best instruction from our swim teachers and that you get the most out of your lessons. In order for that to happen we have made some swim rules to make sure that we have a minimum of misunderstandings along the way. Welcome to the family! 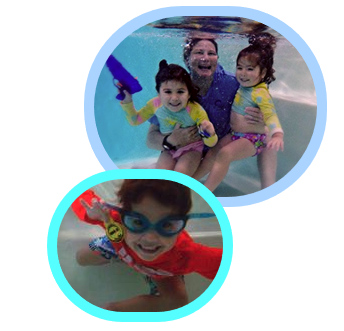 We want your children to enjoy their lessons as well as learn how to swim. To do this they need to be well behaved. Any students, adults or children that refuses to mind the swim teachers or are showing reckless behavior inside or outside of the water will be asked to leave the pool immediately and no reimbursement will be offered. Our parking lot at the pool is small so please be aware of how much space your vehicle is taking up. Make sure to park off to the right side of the driveway and not directly in front of the gate or in front of the garage. Access must be open for emergency vehicles. Drive slowly and carefully, the parking lot can be crowed so watch for young children. All students are to provide their own swim suit as well as a towel. Any children under the age of 4 MUST wear a non-disposable swim diaper (available in store), even if they are potty trained. One accident will shut down the entire pool. No chewing gum or wearing jewelry. Hair should be pulled neatly and securely away from the face so that it stays up for the entire class, no bows, bobby pins, or hair ornaments that may get lost in the pool. Personal items should be marked with a name. This facility’s staff will not be responsible for any items that may be lost or stolen. We do not encourage make-ups as it disrupts the swimmer's schedule and makes it harder for them to learn. Our teachers are consistently here waiting for you at your scheduled class time and making sure his/her class is the best possible learning environment for your child and they are paid whether you show up or not. Therefore we do not offer make up classes. 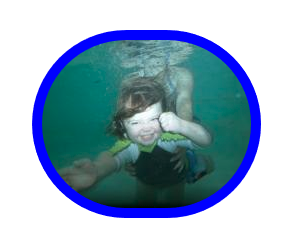 - The school must be notified that a swimmer is going to miss class before their lesson starts. Otherwise, it is a no call/no show and no credit will be issued. To get the full benefit of your lesson, please arrive at least 5-10 minutes before (no earlier please) your scheduled class time. Your lesson will start and end promptly even if you are late. If you are more than 15 minutes late, the lesson can be canceled at the discretion of the swim teacher and will count as a no call/no show. If you plan to renew your lesson, you have one week past your last lesson date in order to do so. Payment must be made at the time of renewal. After that point it is possible that your time slot may have been taken by someone else and you will need to reschedule your lessons. Renewal coupons must be turned in to collect on their value. If you know that you are unable to make your lessons for a period of time there is the option to freeze them and we will pull you off the schedule with no loss of lessons. When you decide to resume your lessons you will need to reschedule based on current availability. The school must be informed with a written notice either dropped off at the shop or emailed to the Swim Director before the freeze is to take place.